The Hunter Fan Company from Memphis in the USA is the largest global brand and manufacturer of ceiling fans. For over 16 years we have been the UK and EC Distributor holding over $1m of Hunter stock including all the accessories and spares. Here we tell you why Hunter is so good and has over the years established itself as a trusted brand. 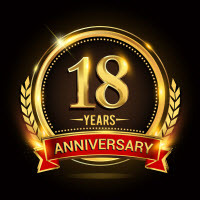 The Hunter brothers invented the first electric ceiling fans back in 1886 and over its 130 year history has created dozens of patents and innovations for ceiling fans. Almost all of the design features that you find in any quality ceiling fan today have emanated from the Hunter camp. Things such as the trilobular hanging system to eliminate wobble, quick mount droprods with cotter pins, reversible blades, the use of balanced blade sets, easy mount ceiling plates, whisper quiet air-cooled motors etc. They also were the first fan company to provide a Lifetime Warranty for their products. In its early years the company was a serious manufacturer of guns and other miscellaneous household products such as bicycles and typewriters. Over time in a classic “swords to plough-shears” story they put their energies and skills in precision manufacturing into making less destructive products, as the appetite for quality ceiling fans took-off in the USA. Over time Hunter became not only a household name but the 6th most recognised consumer brand in the USA. In recent years many cheap copy-cat competitors have surfaced who have produced products that look the same or very similar but without the cost and quality that is built into a Hunter product. These cheaper offerings often wobble, make annoying buzzing noises and hums eventually leading to failure after just a few years use. Download the latest 240v International product range Hunter catalogue for 2016/17. Click on the image to open up in a new window. For the full range of around 50 videos go to the Hunter Video Channel. Here we provide a few top picks including an old 1950’s classic- marketing just ain’t what it used to be!!! This is a dated but very informative 13 minute Hunter presentation video. This is an old 1950’s piece of history – old but excellent Hunter AirMax motor video. Why Buy A Hunter Fan? LOOK: Look and you will see the quality in the fit, finish and materials. LISTEN: Listen and you will hear the quality in its whisper-quiet operation. FEEL: Relax and you will feel the quality in the power and consistency of the air movement. REST ASSURED: Purchase a Hunter fan, and rest assured that you are bringing home the finest fan available backed by a Limited Lifetime warranty. SUBSTANCE: Look at the 130 years of innovation and heritage behind the Hunter name. Having invented the ceiling fan in 1886 Hunter is now the biggest manufacturer in the World with many design features that have been copied by others to become industry standard. Hunter fans are durable, inside and out. That’s why Hunter back every one with a Limited Lifetime Motor Warranty. Hunter finishes are tarnish, scratch and rust resistant. Their plated finishes are the result of a multi-stage grinding and buffing process. All Hunter painted finishes feature a thick powder-coated paint to provide the richest colour and maximum durability. 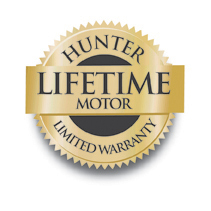 Hunter’s Motor Warranty is backed by the only company with 130 years in the fan business – something that cheaper competitors cannot copy and so you get peace of mind with every purchase. Craftsmanship is what sets Hunter apart. It’s at the heart of everything they put into their ceiling fans. It’s why millions of consumers around the world have come to rely on Hunter ceiling fans to provide quiet, cooling comfort. Every Hunter ceiling fan has been painstakingly designed and crafted to be more than just beautiful, more than just another ceiling fan. It’s why Hunter customers have come to demand the same Hunter performance time and time again. Hunter’s exclusive motor technology and mounting system ensure that every Hunter fan will be quiet and wobble free. Just like every Hunter fan since 1886. How do you know if a ceiling fan is as energy-efficient as it can or should be? The efficiency and hence the volume of air a ceiling fan can move as well as how quiet it is will be determined first and foremost by the angle of the blades and their shape, twist and curve. This in turn will determine just how long it lasts and of course the amount of energy it uses. It isn’t your job to figure this out as Hunter already have. Their sophisticated laboratories simulate and measure the air movement in a whole room and guarantee that the fan is moving air at it’s most efficient and in a smooth laminar way instead of uncomfortable turbulent buffeting flow. 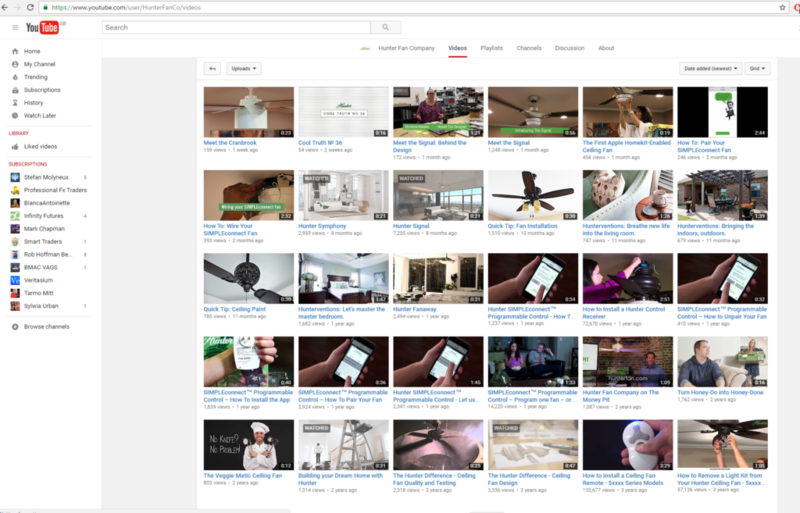 Hunter even wrote the US government certification standards for ceiling fans and their UEL approved sound laboratory is one of only 2 that exist Worldwide. Long before there was air conditioning – or even widespread use of electricity – people around the world counted on Hunter ceiling fans for cool comfort. The Father and son team of John and James Hunter created their first ceiling fan in 1886. The first Hunter fans were actually water driven. A short time later Hunter introduced an electrically powered ceiling fan. It was one of the first products ever to run on electricity. Nearly 120 years after the invention of the very first Hunter ceiling fan their name and their products are still a comfort to millions. Since 1886, customers around the world have relied on Hunter Fans so it is no wonder so many homes, resorts, restaurants, sidewalk cafes, movie theaters, warehouses, classrooms and more – from the Tropics to the Temperate Zones – count on Hunter fans for cool comfort. Today, Hunter combines this heritage of 19th Century craftsmanship with 21st century technology to create ceiling fans that are unmatched for quality, style and quiet performance. The motor is the heart of any ceiling fan. That’s why Hunter fans are powered by custom-designed motors manufactured with the finest materials, including heavy-gauge copper windings, precision ball-bearings and high-grade silicon steel. And every Hunter motor is engineered and tested for smooth, whisper quiet operation. 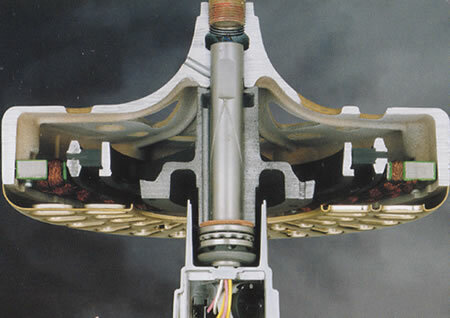 As the name implies the Hunter Original fan motor is the one that started it all. So well designed that it’s changed very little in over 100 years, and the Hunter Original motor remains the most powerful motor we make. It’s large steel laminations are teamed with a unique oil bath lubrication system and a solid cast iron motor housing to produce a virtually indestructible workhorse. 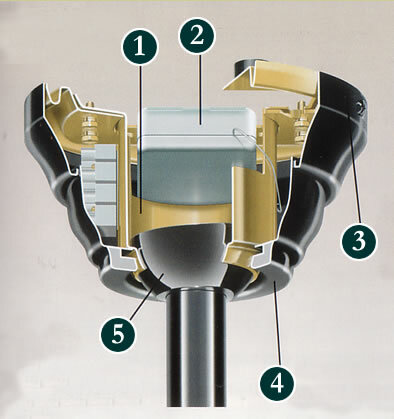 The AirMax motor also includes a unique high-efficiency internal impeller. 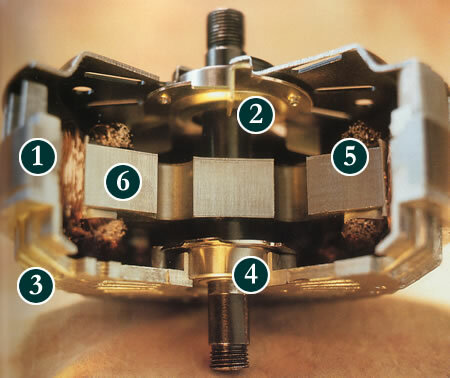 This impeller is a fan-within-a-fan, that cools the motor whenever the fan is running. Together, superior materials and superior design make the AirMax the quietest, coolest-running, most powerful motor ever created. No wonder they back every one with a Lifetime motor warranty. Dissipates heat more effectively, for longer life. This is the original patented Hunter canopy design that hangs the fan from the ceiling in a flexible way that eliminates any wobble and that is now copied by all manufacturers around the World. 1. SWIVEL MOUNT UP TO 34 DEGREES – So the fan can be mounted on sloping ceilings. 2. RF REMOTE CONTROL READY – A snug fit allowing just enough space for the remote control receiver without making the whole canopy look too big or ugly. 3. FLARED CANOPY RIM MAKES SCREWS ACCESSIBLE AND INSTALLATION EASIER – on the ceiling mounting plate. 5. PATENTED TRILOBE HANGER BALL DISSIPATES WOBBLE – By using a clever 3 ball system to counteract any forces created by uneven balancing of the fan. The genius inventor fan engineer Ted Bacon actually came to the UK and trained the Henley Fan staff back in 2005. Hunter’s Wobble-Free canopy system includes a round mounting plate for easier screw access. Now the design features a quick-fit twist and slot-in canopy so that the ceiling plate can be installed first and the rest of the fan quickly snapped into place. A handy support lug takes the weight of the fan while the electrical connections are made. 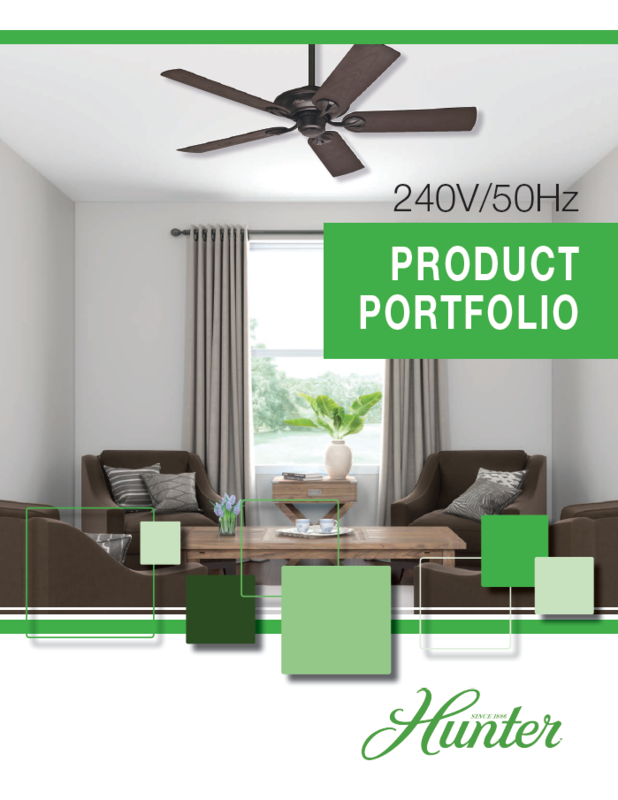 In situations where you need maximum clearance, such as rooms with low ceilings, you need one of Hunter’s specially designed models – the Hunter Low Profile fan. This fan – also known as a Hugger – has either a very small or no down rod at all internally and hugs the ceiling, ensuring maximum air movement with maximum clearance and safety.